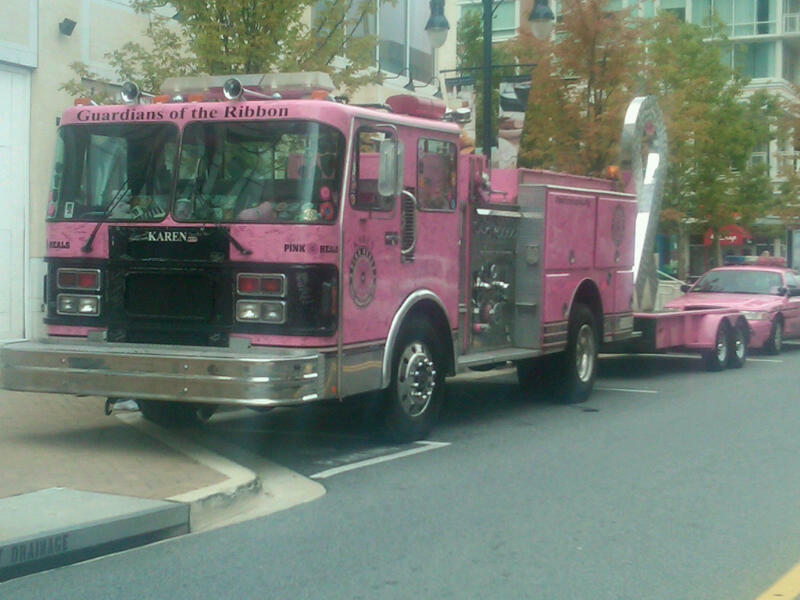 Three pieces of fire apparatus painted pink for breast cancer awareness are on display at the National Harbor today. They will visit Capitol Hill later this afternoon and return to the National Harbor for a 7:00 pm parade. They are asking any Fire Department wishing to join them to please do so. The Prince George's County Fire/EMS Department will be going Pink during a week in October. Personnel will don pink t-shirts in lieu of regular uniform shirts to raise the awareness of breast cancer and research that is needed to battle it. Their visit is with the assistance of Fire Rescue TV. For additional information on the pink fire trucks, click here. The Prince George’s County Fire/Emergency Medical Services (EMS) Department was well represented at the opening ceremony of the North American Fire Training Directors (NAFTD) Annual Conference. 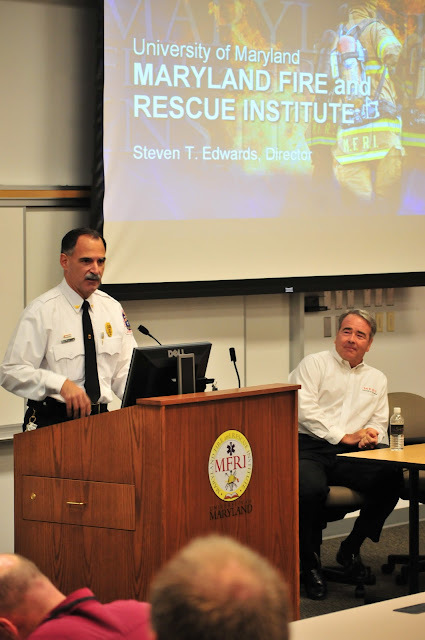 The 2011 annual meeting is being hosted by the Maryland Fire and Rescue Institute in College Park. The meeting runs for three days with Wednesday, September 21, 2011, being the second day of meetings. For additional information on the conference visit the NAFTD website by clicking here. The Fire/EMS Department was privileged to have been asked to present colors with flags from both United States and Canada and Fire Chief Marc S. Bashoor provided welcoming comments to the Directors with an overview of the Prince George’s County and the Fire/EMS Department. It's always a pleasure to see friends and former members of the Prince George's County Fire/EMS Department and that was certainly true this morning. Enjoyed seeing MFRI Director Steven T. Edwards, a retired PGFD Fire Chief; Maryland State Fire Marshal Bill Barnard, retired Deputy Fire Chief, Larry Preston and Ron Hassan, both retired fire officers. Also in attendance were MFRI Diversity Coordinator Paul Brown who currently serves as PGFD Chaplain and Tim Delehanty, a MFRI Instructor who is a long-time and popular volunteer member of PGFD and past chief of one of our volunteer stations. For additional information about the Maryland Fire and Rescue Institute click here. Honor Guard stands-by to present US and Canada Flags. MFRI Director Steve Edwards greets Maryland State Fire Marshal Bill Barnard.